In Vegas, we sort of take for granted that we have way more summer than most places. It’s like we have our own groundhog who sees his tan lines every year and gives us six more weeks of summer. But, alas, all good things must come to an end and there are only so many pool parties we can go to before our fingers are eternally pruned. And although that prunitude makes for some fun later, it’s still time to hang up the bikini and look to the fall—which it’s actually been for like a week now. 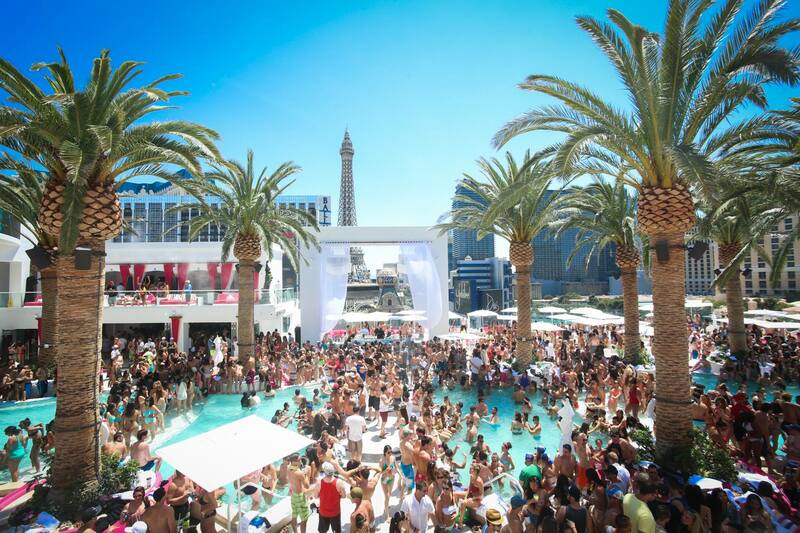 Drai’s Beach Club, one of the places to get to before the season is over. Photo courtesy of Drai’s Beach Club. We’ve got the info here for you to make your decisions. If you want to let it go right now and go find yourself a nice pumpkin-spiced latte or pumpkin-spiced blanket or pumpkin-spiced freaking planet to live on, that’s totally cool. We love fall in Vegas. But if you want a few more weekends of fun in the sun before to inevitably surrender to the all-consuming power of pumpkin-spice, we’ve got those options too. Open all-year – Yay! Just yay! Moorea Beach Club at Mandalay Bay is open through the winter so you can get toasty by some fire pits while snuggling in your cabana. However, because the hotel uses Moorea Beach Club as its off-season all-ages pool, the “toptional” portion has to wait until next summer. Sorry, ladies. We’ll keep you updated as more info pours in, and you can always check our Pool Clubs Page for the last closure dates.